Astoria, Oregon, the oldest American settlement west of the Rockies, has a rich history to be explored by visiting several attractions. 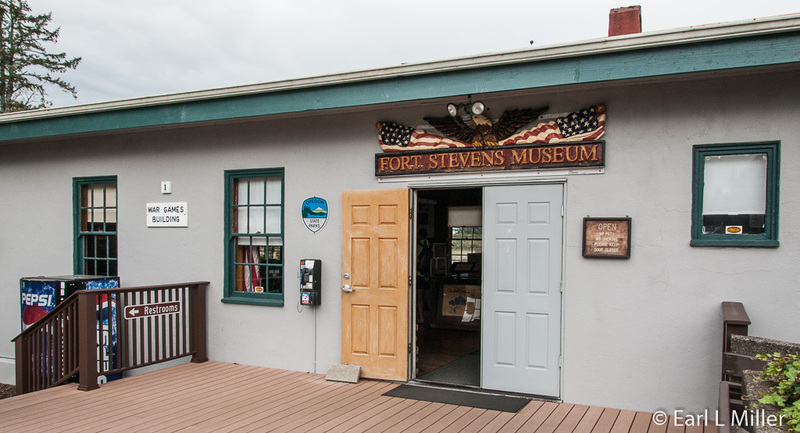 From Fort Astoria to the Astoria Tower, Bumble Bee Cannery Museum, Columbia River Maritime Museum, to Fort Stephens, visitors find a diversity to keep them busy for days. 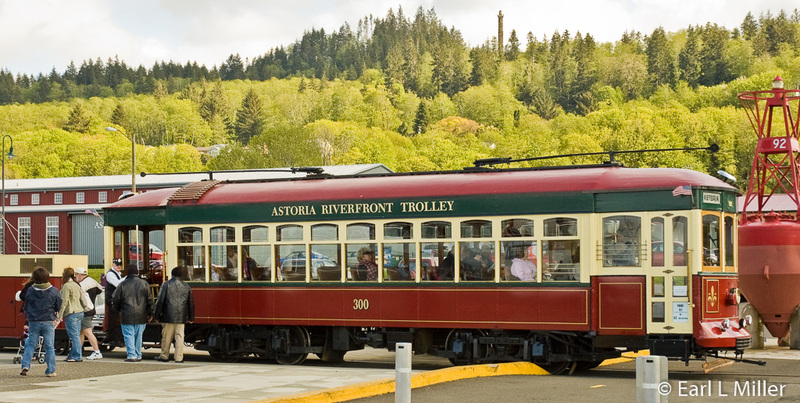 An inexpensive way to get to many of the town’s attractions is by riding the Astoria Riverfront Trolley It runs from near the West End Mooring Basin near the Astoria Cannery Pier Hotel to the East End Mooring Basin at the foot of 36th Street. Operating on the original train tracks, it passes everything from restaurants to Victorian home architecture, a bridge, parks, piers, and attractions. 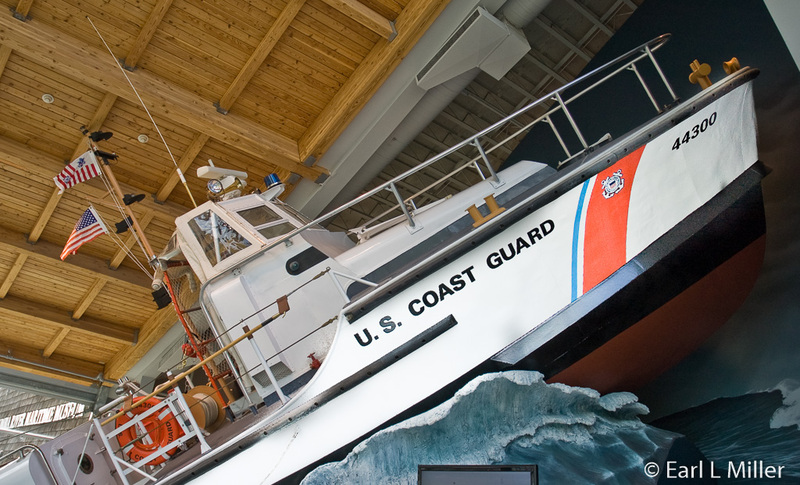 You might even spot a few seals and sea lions, Coast Guard cutter ships, or fishing boats. Fare is $1 per boarding or you can pay $2 and ride all day long. The round trip ride lasts an hour. To catch it, you simply wave it down. The trolley was originally made by the American Car Company in St. Louis, Missouri for the San Antonio Traction Company in 1913. Its streetcar service ended in 1933 when the San Antonio Museum Association purchased it for the grounds of the Witte Museum. After the 1968 World’s Fair, it became an outdoor, unsheltered display for a transportation museum. In 1980-81 it received an extensive restoration. Eventually, it found its way to the Pacific Northwest, still property of the San Antonio Museum Association. For five years, it ran on the line from Portland to Lake Oswego. Then for another five years it ran at Glenwood Trolley Park. When that park shut down, Astoria became aware of its availability and brought it to the city in 1998 for restoration. 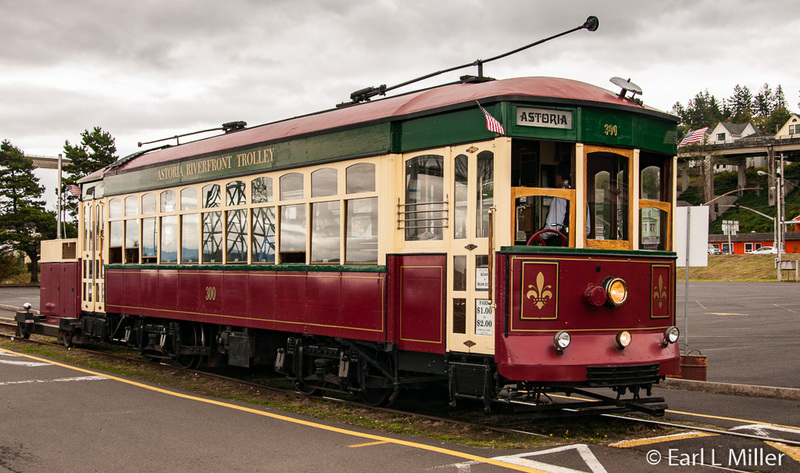 In 1999, the Astoria Riverfront Trolley Association, a volunteer organization, bought the car and restored it for use. The group started running it in 1999. Those driving the car today are volunteers trained in the trolley’s operation and serve as tour guides throughout the trip. It now operates daily from Memorial Day to Labor Day. Its hours from Monday to Thursday are 3:00 p.m. to 9:00 p.m. and on Friday through Sunday from noon to 9:00 p.m. The schedule is posted at the various shelters. Beware that when cruise ships are in town, it can become very crowded, and the 40 seats may not be available. In the Red Lion area, the West End Mooring Basin provides homes for pleasure boats, sailboats, and sportfishing boats. The Port of Astoria operates it. You can board the trolley near the Cannery Pier Hotel. Maritime Memorial Park is dedicated to the memorial of local people in the maritime industry. 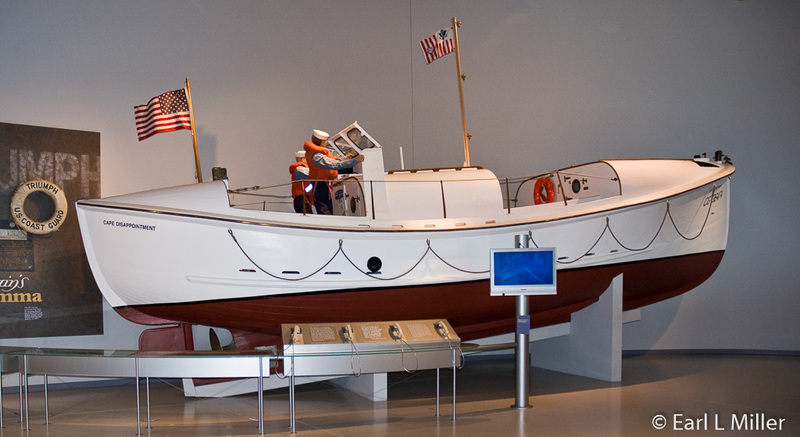 It also honors Coast Guard members who lost their lives serving on the Columbia River. You’ll pass a number of pilings which once supported fish canneries, packing houses, warehouses, and wharfs. One of these, the Bumble Bee Cannery's Astoria Warehouse which supplied Bumble Bee’s cans, is visible. Near 6th Street, you’ll spot what was originally the Kinney Cannery, built in 1876 and operating until 1920. It was the central machine shop and warehouse for Bumble Bee until 1980. At 12th Street, from May to October, you’ll see the Astoria Sunday Market. Market hours are 10:00 a.m. to 3:00 p.m.
Part of the movie “Free Willy” was filmed at the dock on 14th Street. The building on the southeast corner of 14th and Marine Drive housed the birthplace of cable television. Cable was invented by Ed Parsons, who operated the world’s first cable system. He picked up the TV signal via twin-lead transmission wires and redistributed the signal of KRSC-TV (now KING-TV) in Seattle, Washington to Astoria’s homes. 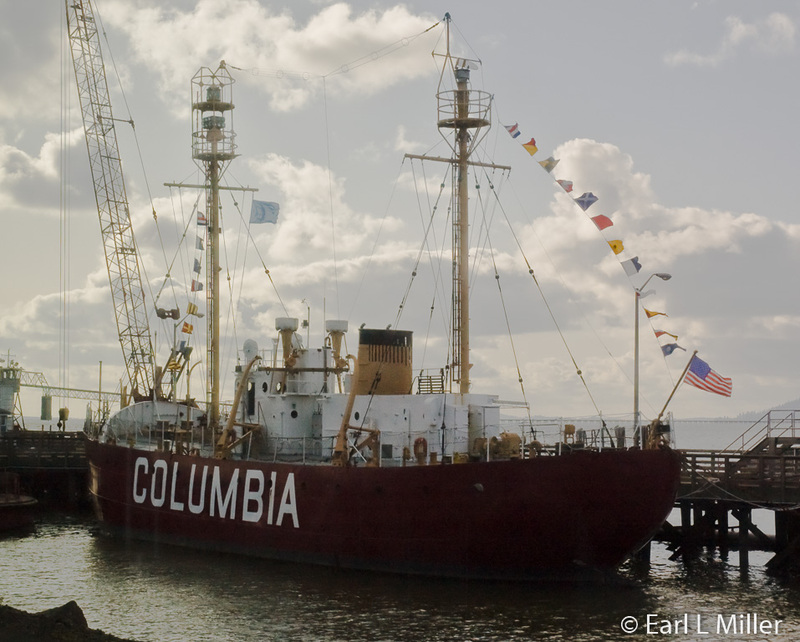 At 17th Street, you’ll pass the Columbia River Maritime Museum, which many recognize as the city’s prime attraction. 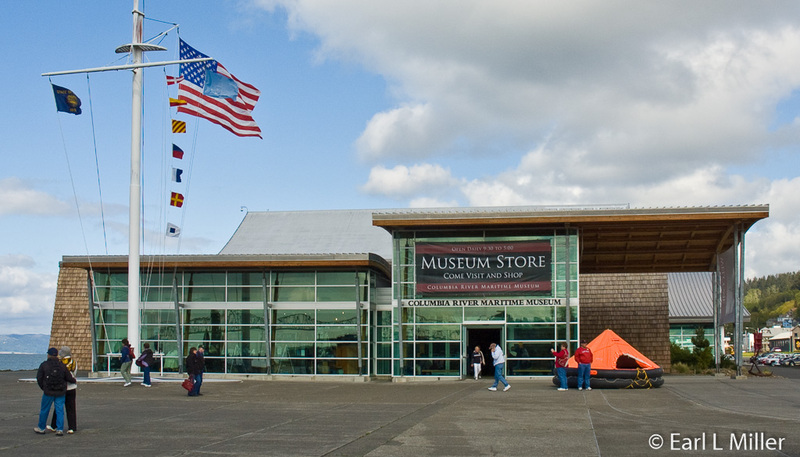 It’s the state of Oregon’s official maritime museum. It collects and exhibits artifacts from the Columbia River and the Pacific Northwest. The museum is open daily 9:30 a.m. to 5:00 p.m. Admission is adults $14; seniors $12; children, ages 6 and under, $5. To watch the 3D movie, it’s an additional $5. The address is 1792 Marine Drive and the telephone number is (503) 325- 2323. You’ll pass, near 33rd Street, the former Sentry Market, now Safeway. Established in 1890, until it was sold in 2002, it was the oldest family-owned grocery store west of the Rockies. At 36th Street, the Astor School was used in “Kindergarten Cop” and the cream-colored house with red trim, up the hill to the east was the Goonies House in the “Goonies” movie. The West End Mooring Basin is the place to spot dozens of male California sea lions. In 1811, 33 men from John Jacob Astor’s Pacific Fur Company (PFC) established the first American owned settlement on the Pacific Coast. They arrived on the ship Tonquin. Initially, the fort was constructed of bark-covered logs enclosing a stockade. It had guns mounted around the perimeter for defense. Eventually, it had a trading store, blacksmith’s shop, a house, and a storage shed for pelts. Furs included beaver, sea otter, squirrel, and red fox. These furs were acquired from trapping or trading with the local Indians. The post served as an administrative center for the other PFC satellite forts. It was about 75 by 110 feet. Those living at the fort were structured into a corporate hierarchy. The fur partners were at the top; clerks, craftsmen, and hunters in the middle; and laborers at the bottom. Nationalities included Scots, French Canadian, Americans, Native Hawaiian, and various tribes such as the Iroquois. The Montreal-based North West Company (NWC) bought out the PFC assets in 1812 including the fort. They renamed it Fort George. It was the first British port on the Pacific coast. The NWC erected several large buildings, strengthened the palisades and bastions, and cultivated the fields. The company merged into the Hudson Bay Company in 1921. Governor George Simpson spent the winter of 1824 at the fort. He decided he did not like it as a fur post or regional depot and ordered the construction of Fort Vancouver to serve these purposes. 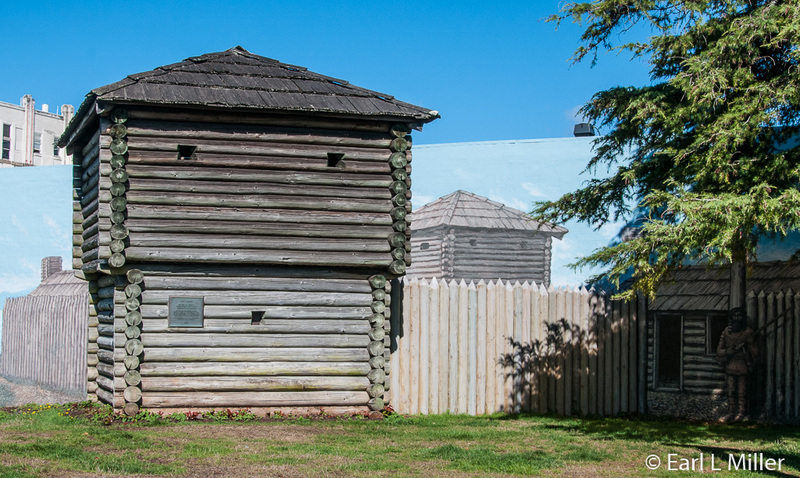 Fort George served as the company’s main depot until April 1825 when Fort Vancouver was completed. In June 1825, Fort George was abandoned. At that time, native villagers seasonally resided there but failed to maintain the property. Fort George was reoccupied in 1830 with the post rebuilt. A small warehouse and two minor buildings as well as the residence of the HBC trader, comprised the property’s structures. 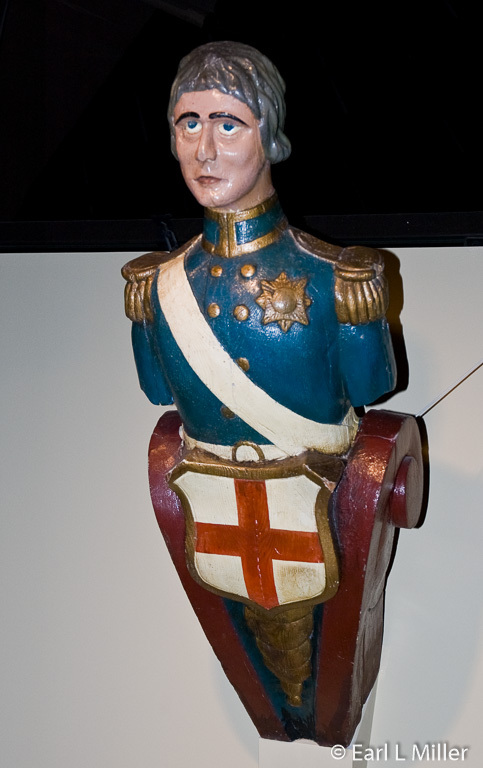 In 1833, with a staff of four, the post was used seasonally in the company’s salmon trade. It became important for obtaining, storing, and transporting salted and pickled salmon to be sent and traded at Oahu, Hawaii. In 1846, the fort became part of the United States territory under the terms of the Oregon Treaty which established boundaries between the U.S. and Canada. Great Britain ceded all land south of the 49th parallel. In 1848, HBC sold the post to Americans despite the treaty saying their right was guaranteed to retain properties south of the 49th parallel. Located at the intersection of 15th and Exchange Street, Fort Astoria is no longer a fort. It’s simply the recreation of Fort Astoria’s blockhouse, constructed in 1956, on the fort’s original site. A sign relating its history hangs from the frame near the blockhouse. Since 1956, three murals depicting the 1813 fort have been painted on the side of a building at the blockhouse’s site. This third mural, painted in 2003, extends 100 feet around the fort’s blockhouse. 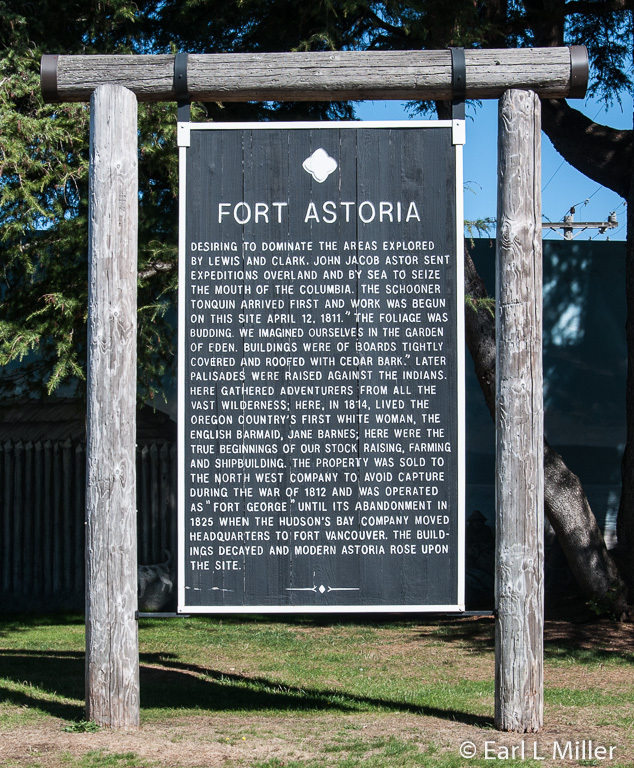 In 1962, Fort Astoria became a registered National Historic Landmark. Astoria’s major landmark is the Astoria Column. It towers above the city’s Coxcomb Hill which provides great views of the bridge between Astoria and Washington. It’s the last of 12 historical markers erected in the early 1900's between St. Paul, Minnesota and Astoria. These markers were Ralph Budd’s pet project. He was president of the Great Northern Railroad. Budd wanted to salute Astoria’s explorers and settlers for their westward expansion to the Pacific Coast. Vincent Astor, the great-grandson of John Jacob Astor, funded the column’s cost and the site’s 30 acres. Electus Litchfield, from New York, was the architect. He patterned it after the 100-foot tall Trajan Column in Rome, Italy built in 114 A.D. by Emperor Trajan. AB Guthrie and Co., of Portland, constructed the structure. They used Italian immigrant artist, Attilo Pusterla, to create a bas-relief technique, Italian Renaissance art form, sgraffito. It combined paint and plaster carvings to decorate the exterior with a frieze of 14 scenes and over 20 text messages depicting Astoria’s history. It’s the world’s only large piece of memorial architecture made of reinforced concrete using this technique. It was finished October 29, 1926. Within three years, Pacific Coast weather affected the mural. The storms and salty winds started to dim and threaten the carvings. In October 1929, the Astor family contributed the funds to stabilize the murals. In 1936, Pusterla returned to repair and waterproof the mural. ​The site was closed during World War II. A blimp squadron for coastal reconnaissance moved to Coxcomb Hill. The column reopened to the public in 1947. In 1974, the Column was listed in the National Register for Historic Places. It received a new granite plaza in 2004 along with an ADA accessible walkway. In September 2015, we noticed the structure was under restoration and covered by scaffolding when we visited Astoria. Scenes are devoted to such events as the coming of the white settler, events relating to the Tonquin, Lewis and Clark expedition, and Fort Clatsop. They also include a Native American village on land now known as Astoria, Captain Robert Gray’s discovery of the Columbia River, and the arrival of the Great Northern Railway. The column is 125 feet high and has 164 steps inside on a circular staircase. The 500 feet of banded murals leads to a viewing platform. The Oregon seal is on top. The tower is open year round from dawn to dusk. A gift shop on the property is open from 10:00 a.m. to 4:00 p.m. Monday through Friday and 9:00 a.m. to 5:00 p.m. on weekends. During the summer, hours are 9:00 a.m. to 6:00 p.m. daily. Parking is one dollar. Based on the honor system, it’s paid at the gift shop. 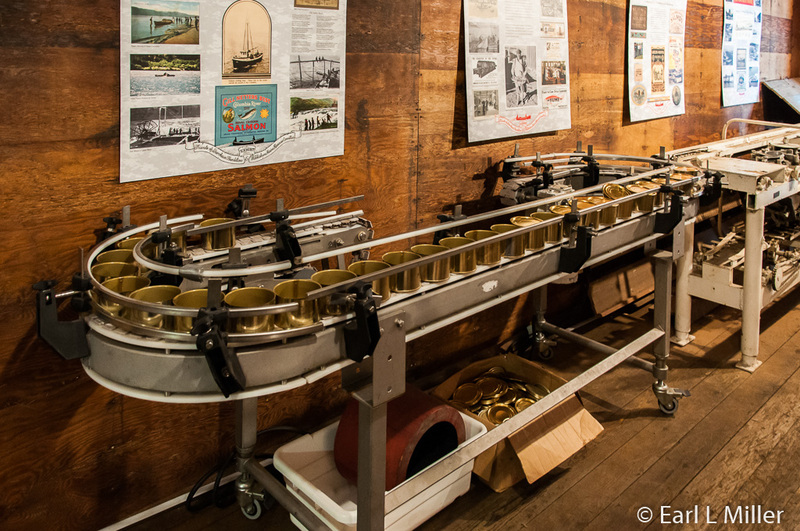 Located on Pier 39, at Astoria’s east end, you’ll find the Bumble Bee Museum. It’s housed in the oldest cannery building still standing on the Columbia River. We did not find any employees. What we did see were lots of signboards and a gift shop with a money box. There is a dated movie, probably from the 1960's, about the company you can watch titled “Bumble Bee Success Story” and one titled “Salmon for All” which covers salmon fishing. The museum is designed to tell the story of 130 years of community/cannery history with photos, boat displays, and Bumble Bee artifacts. 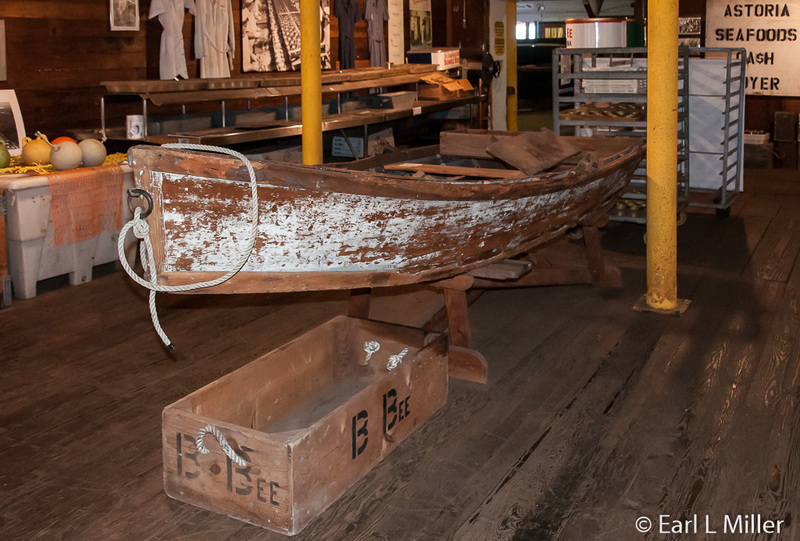 The collection consists of historic canning equipment, the interior of an industrial freezer, and five boats: a flat ender, Carruthers, sailboard, and two polo pickers. It’s located at 1618 Exchange Street and the telephone number is (503) 338-4849. Hours are 9:00 a.m. to 6:00 p.m. daily. No admission charged. In the late 1800s, immigrants from Scandinavia and China provided the necessary workforce to catch and process salmon. By the 1920s, local companies turned to catching and processing tuna as the salmon population became seriously depleted. By the 1980s, the tuna industry moved to other places besides Astoria. The industry started in 1875 when J. O. Hanthorn started processing salmon. His brand became known worldwide, and his skill as a tinsmith helped him greatly with canning. By 1894, Hanthorn produced 30,000 cases of canned salmon annually. His daughter’s death in 1891 greatly affected him. He sold the cannery to the Columbia River Packers Association (CRPA) that year and left Astoria. 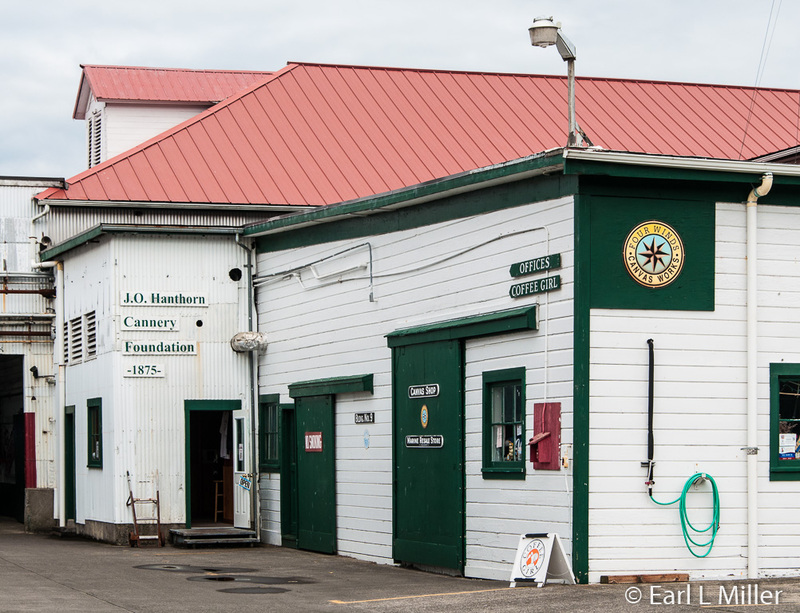 Hanthorn’s 1875 cannery site is now on the second floor of the center building. The facility had eight buildings by 1908 on the pier. These included cold storage units now housing the Cannery Museum. Other cold storage units were added in 1932 which now serve as storage for the museum’s artifacts. In 1943, those on the west side were added which now includes the Rogue Public House. At one time, a copper shop, butchering room, fillet room, liver picking area, net wharf, and Chinese mess house were part of the facility. In 1894, Andrew B. Hammond arrived from Missoula. He began acquiring all of the Columbia River salmon canneries with the idea of operating them as one company. In 1899, the CRPA was comprised on 10 canneries that processed salmon. In 1910, the Bumble Bee brand was born. The CRPA started expanding to albacore tuna in 1920 with that fish becoming the primary product between 1930 and 1950. In 1960, Bumble Bee Seafoods Inc. became a wholly owned subsidiary of Castle & Cooke, a prominent Hawaiian-based seafood company. In 1980, Bumble Bee suspended operations in Astoria. It underwent a series of ownerships. 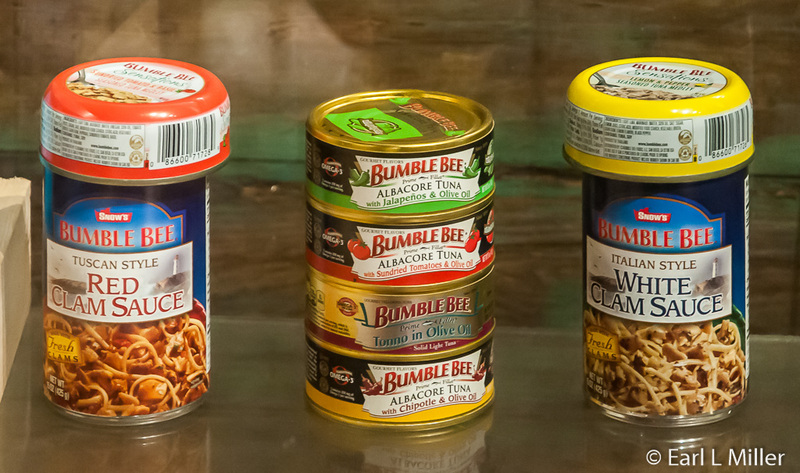 Since 2010, Lion Capital LLP has owned Bumble Bee Seafoods, North America’s largest branded, shelf-stable seafood company. It offers salmon, sardines, canned and pouched tuna, and specialty seafood products under various names. One part of the industry you’ll learn about is cold storage. Samuel Elmore proposed in 1902 that CRPA enter the frozen and mild-cured salmon business on a large scale. He decided to build a much larger plant in the unused Hanthorn Cannery so all cold storage and freezing operations could take place at one plant. Concentration was on steelhead since these were prized in Europe. Once the fish arrived at the plant, they were washed and then frozen at 25 degrees below zero. After removal from the freezer, they were glazed by dipping them in ice cold water, wrapping them in a parchment type paper, and moving them to cold rooms to await shipment. When the whole salmon reached Germany, they were thawed then displayed at the markets. Europeans would serve them whole. The cold storage plant was also used to process new company product lines. These included frozen crab, shrimp, and bottomfish. This provided employment for women known as “Bumble Bee ladies” known for their expertise in producing top quality boneless fillets. 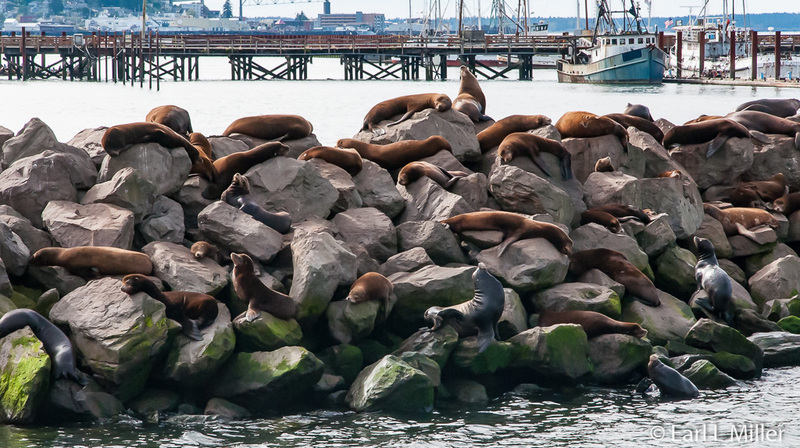 When you are done touring the museum, head outside to see California and Steller sea lions residing in the East Mooring Basin and the Port of Astoria docks. Most live at Pier 39. For the summer of 2016, the Port expects more than two thousand of these pinnipeds. Another place to see them is Buoy Beer which has a viewing window inside their restaurant. We saw four of them through this window. This microbrewery and brewpub is located at 1 8th Street. It offers sandwiches and seafood and is open daily 11:00 a.m. to 9:00 p.m.
Fort Stevens State Park is known for its public beaches and its history. The park has year-long campgrounds; miles of beach; horseback, hiking, and biking trail; and fishing and swimming lakes. It also has picnic shelters, a shipwreck, and an interpretative museum. It was named for General Isaac Stevens, a former Washington territory governor killed at Chantilly, Virginia in 1862. A Clatsop village, which stood thousands of years at this location, was a strategic trade spot. Indians from this village assisted Lewis and Clark. Located on the grounds is a Clatsop Indian long house. 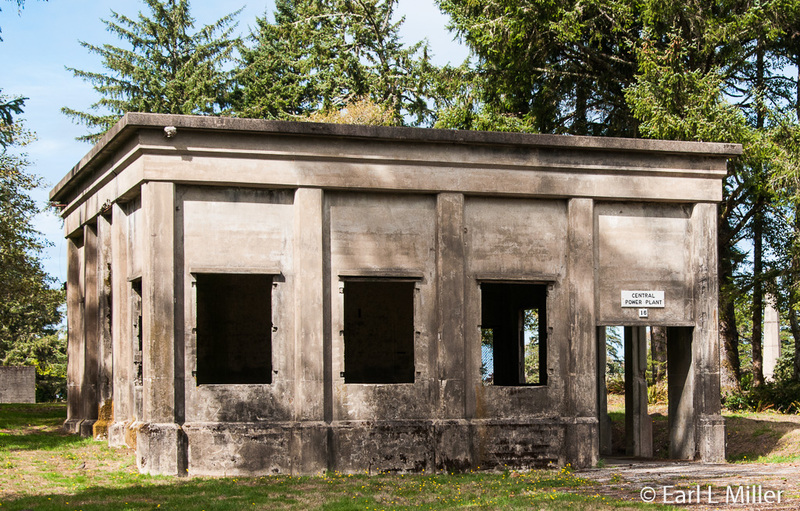 From the Civil War through the end of World War II, Fort Stevens helped defend the Columbia river mouth. It was built to protect the North against an English invasion from Canada. During the fall, visitors can view Civil War battle reenactments. 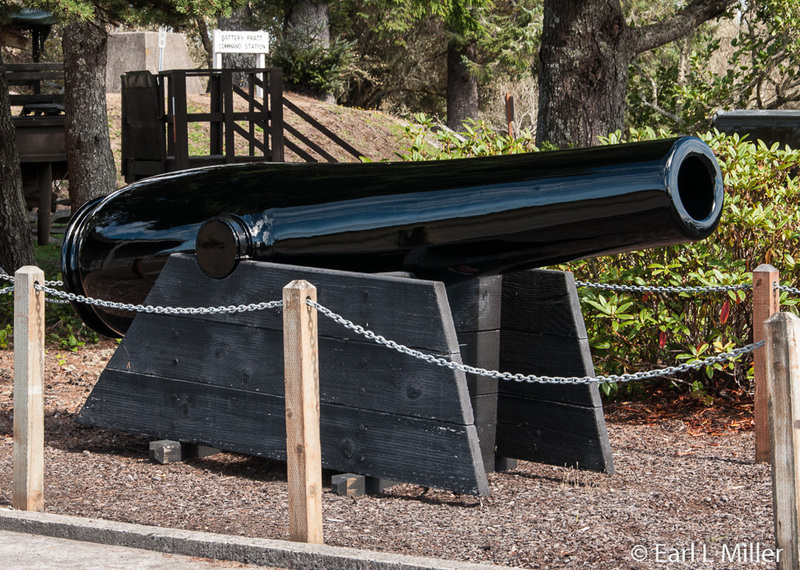 In its history, Fort Stevens guns were never fired. The original Fort Stevens, constructed in 1865, consisted of an earthwork with gun placements and several buildings. It was surrounded by a moat with a drawbridge. Still visible, this is the only enclosed Civil War earthworks site on the Pacific coast. In 1897, Fort Stevens started a massive refortification program. Eight concrete batteries with mortars and long and short range rifles were constructed. The main armaments were 10-inch cannons placed at four batteries which could fire 617-pound shells at a distance of nine miles. It also had two small caliber, rapid-fire batteries to protect the Columbia River mouth’s mine fields. It was armed with 6-inch rifles at Battery Pratt and 12-inch mortars at Battery Clark. It was one of three forts at the Columbia River’s mouth, The other two, located in Washington, were Fort Canby and Fort Columbia. During World War II, additional armaments were added and 2,500 men were stationed there. On June 21, 1942, Fort Stevens saw its only activity. Japanese submarine I-25, the same one that later attacked near Cape Blanco, (See my article of March 20, Port Orford) fired 17 5.5 shells in the fort’s vicinity. The shelling destroyed the baseball field’s backstop and slightly damaged the power lines. The Japanese had thought they were attacking a submarine base. The Fort Commander refused to return fire. The fort’s guns could not reach the submarine and would have only revealed the guns’ position. This made Fort Stevens the only installation to be attacked by an enemy since the War of 1812. Shortly after World War II, Fort Stevens was decommissioned. The buildings were auctioned off and the guns removed by 1947. Grounds were turned over to the Corps of Engineers, as headquarters for maintenance activities at the river’s mouth, before Oregon State Parks leased the old fort area in 1975. Take time to drive around the historical area. All but a few of the buildings are in ruins, but the batteries remain. To see what it once looked like, visit the scale model and other exhibits at the two room interpretative museum which started out as a plotting room for the West Battery. The building’s center part was a dormitory for enlisted men while officers’ quarters were located where the store is today. Take time to see the short film about the I-25 starring the people who had memories of this event. 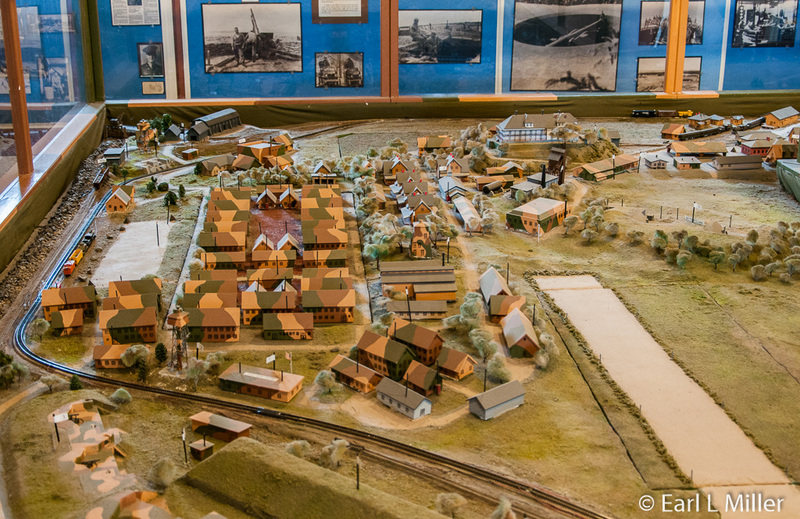 In the back room, look at the diorama which will give you a full impression of the fort’s layout during World War II. You will see photos of the World War II companies who served here, photos of what the base looked like, and Japanese pistols, rifles, and knives from that era. The front room has information on Isaac Stephens as well as uniforms from the Spanish American and World Wars. 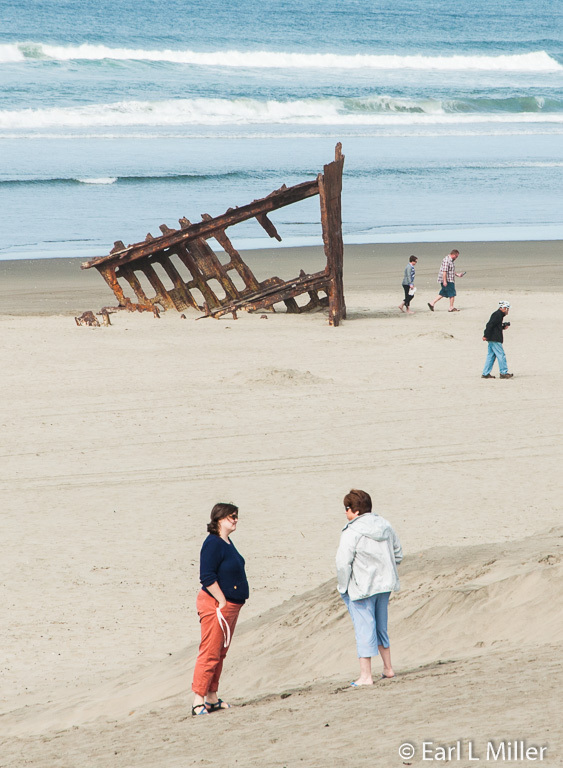 Near the southern beach parking lot, you can see the rusting wreck of the Peter Iredale, a four-masted, steel barque sailing vessel. It was built in Maryport in June 1890, by R. Ritson & Co. Ltd. for P. Iredale & Porter. Iredale was a well-known figure in Liverpool, England where his shipping business was headquartered. After the shipwreck, the line diminished due to sea losses, low sales, and the use elsewhere of modern steamships. The ship was composed of steel plates over an iron frame. At 287 feet long, 30 feet wide, and 23 feet deep, it was the largest vessel built by Ritson. It transported grain from the Pacific Northwest to Australia and coal and wool to England. When it shipwrecked, it was 28 days out of Santa Cruz, Mexico and bound for Portland, Oregon. It had an empty cargo hold and crew of 25 with two stowaways. On October 25, 1906, a northwest squall grounded the Peter Iredale on Clatsop Beach. A lifeboat was dispatched from Hammond, Oregon to evacuate the sailors, who were tended to at Fort Stevens. No casualties occurred due to the accident. Since there was little damage to the hull, plans were made to return it to sea. However, after waiting several weeks for favorable weather, this proved impossible as the ship listed to its port side and became embedded in sand. She was sold for scrap. Most of the hull was dismantled, but the forward section was left intact. The bowspirit was removed in 1960 for safety reasons. Today all that remains is the bow, a few ribs, and a couple of masts. A day-use fee of $5 is charged at Coffenbury Lake as well as the historical areas of the park. In lieu of this, it is necessary to have the annual day-use pass or a camping receipt from the park’s campground. This must be displayed on the driver’s side of the dashboard or the rear mirror. The park is located near Hammond, Oregon. The telephone number is (800) 551-6949.